If you have time to spare for some bargain-hunting or need to track down your own special kinds of curio, novelty, ornament, or memorabilia, try taking a turn through the Middletown Flea Market. With hundreds of vendors to visit and thousands upon thousands of items to rummage through and barter over, this is a flea market among flea markets. If you want it, they’ve got it — all you need do is find it! The Middletown Flea Market isn’t the sort of place you pop into for a couple of minutes — you need to hold your breath, jump right in, and spend a good few hours exploring everything it has to offer. Before you dive in, keep in mind that this is the largest indoor flea market in Orange County. Across its thousands of square feet, you’ll be able to peruse over 250 booths on Saturdays and Sundays all year round. From classic computers to healing herbs, there’s plenty to explore. If you need to find out more, just check online to find a comprehensive list of available vendors. After you’ve filled your bags or worked off some energy walking around each vendor, take in some refreshments at the large food court. You’ll find food and drinks from all over the world, as well as a whole host of snack vendors to fulfil even the sweetest of sweet tooths. The whole facility is also climate-controlled, so you can count on staying cool at the height of summer and warm during the depths of winter. The Middletown Flea Market is about more than just great deals and rare items. In fact, it has become a little community in its own right, and you can get involved in a wide variety of attractions. One popular previous event was the Free Petting Zoo, which provided a menagerie of cute and playful critters for everyone to have fun frolicking with and snuggling. There’s also the monthly karaoke contest. Feel like you have a set of pipes on you? Attend the next event to sign up as either a lone act or a duo. It costs just $20 to enter, and a prize fund of a cool $1,000 is divided between first-, second-, and third-place winners. 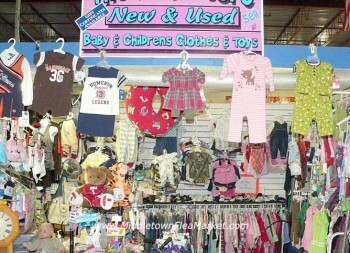 Check Out the Middletown Flea Market! 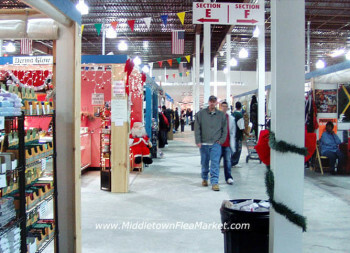 The Middletown Flea Market is just a handy 20-minute drive from Woodbury Commons, and there’s always free parking. The next time you have a spare Saturday or Sunday, you know where to go. And if you’re still looking for local attractions, check out Middletown Honda’s list of things to do in Middletown and Newburgh. 0 comment(s) so far on What Can You Expect to Find at the Middletown Flea Market?